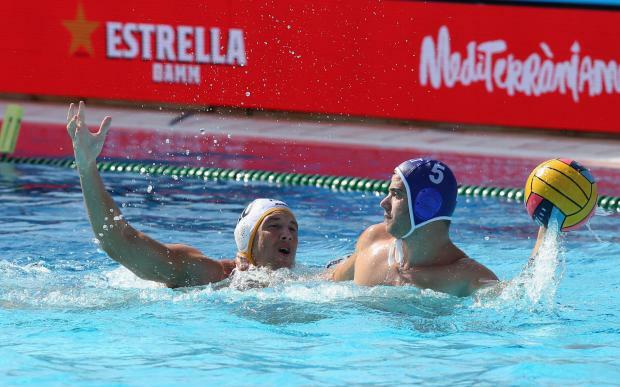 Malta suffered their second defeat in the European Championships when they went down to Montenegro 17-5 in Barcelona on Wednesday. It was another challenging afternoon for the national team who had to contend with the technical superiority of the Montenegrin side who are seen as one of the leading favourites for the gold medal this year. The final scoreline clearly shows the gulf in class between the two sides but there were still a lot of positives for coach Karl Izzo who saw his team put up a more organised showing than the one produced in the 21-4 defeat to Spain in the opening match on Monday. The Montenegrin side started strongly and they were already 4-1 up at the end of the opening quarter with Matthew Zammit putting his name on the scoresheet for the Maltese. It was all Montenegro in the second session as they completely tore apart the Maltese defence when netting seven goals without reply with skipper Aleksandar Ivovic, who last season was on the books of San Ġiljan, bagging a brace - 11-1. In the third quarter, Montenegro looked as if they were going on a rampage again when scoring three times without reply. But the Maltese suddenly came more into the picture and managed to share more the exchanges with Matthew Zammit and Ben Plumpton pulling two goals back for Malta. The last session had little to offer especially after Montenegro added two more goals to extend their lead to 17-3. But the Maltese were determined to finish with a respectable result and inspired by some fine goalkeeper from Jake Tanti they managed to find the opponents' net twice through Aurelien Cousin and Steve Camilleri for a 17-5 final scoreline. Malta will complete their group phase commitments on Friday when they play France at 6.30pm. Malta: N. Grixti, J. Gabaretta 1, A. Galea, J. Abela, M. Spiteri Staines, M. Zammit 1, S. Camilleri 2, J. Camilleri, B. Plumpton, A. Cousin, N. Bugelli, D. Zammit, J. Tanti. Montenegro: D. Lazovic, D. Brguljan, D. Draskovic, M. Petkovic, D. Radovic, A. Radovic, M. Janovic, B. Durdic, A. Ivovic, S. Misic, U. Cuckovic, V. Spaic, M. Scepanovic. Referees: Gabriella Varkonyi (Hungary), Irakli Kikalishvili (Georgia).